As Edison Flores sprinted down the left flank, he had three options. He could either cut inside and shoot, lay it off in the middle and make a run, or pick out a cross for Paolo Guerrero. Thankfully for Flores and his team, he opted for the latter. Guerrero timed his run and just when it appeared as if he wasn’t going to reach the cross, he dived head-first and powered a header into the bottom corner. It proved decisive as Peru edged Haiti 1-0 in their opening game at Copa América Centenario in Seattle. Despite the odd setting and lower-level opponent, it was a moment of history in Peruvian football. That goal was Guerrero’s 27th for the national team, making him the country’s all-time leading scorer, surpassing the legendary Teófilo Cubillas. Guerrero passing Cubillas was inevitable. No current Peruvian has been as clutch or as clinical since the former Bundesliga forward broke onto the scene as a teenager. He’s also been a polarising figure for years. Guerrero is a player who is revered by his own fans, yet he’s been an undervalued commodity in world football – like many other Peruvians. Guerrero has played for huge clubs such as Bayern Munich, Hamburg, Corinthians and Flamengo. He won titles with each team, including the 2012 Club World Cup in which he scored the decisive goal in the final against Chelsea. Guerrero has also claimed the Golden Boot at the Copa América in 2011 and 2015. As if his accomplishments weren’t impressive enough, Guerrero is the highest-scoring foreign player in Corinthians history, despite playing just 78 games for the club. He’s now one of Flamengo’s key players and even spurned offers from China to stay with the team. However, as magnificent as Guerrero has been since returning to South America, his stint in the Bundesliga was tempestuous. The Lima native was highly touted coming out of the youth system at Alianza Lima. He was turning heads with the reserves as well, which led to Bayern signing the Peruvian at 18, even though he hadn’t played in a top-flight game. Guerrero started at Bayern Munich II in the third division of German football and he immediately settled into his surroundings. The 2003/04 season was Guerrero’s first full campaign with the team and he was unstoppable, scoring 21 goals in 23 matches. He continued to score at an absurd rate, which led to a call-up to the first team. The 20-year-old made an immediate impact. It was his first experience in the top flight, yet Guerrero seamlessly acclimatised himself to the Bundesliga. His runs were perfectly timed, the hold-up play was flawless and he displayed tremendous composure in front of goal, especially for a player who was still raw. Guerrero’s performances in both the DFB-Pokal and the Bundesliga left chairman Karl-Heinz Rummenigge in awe. The young forward racked up four goals in 14 league matches and earned seven appearances in the Champions League during the 2005/06 campaign, though he started just once in the competition. 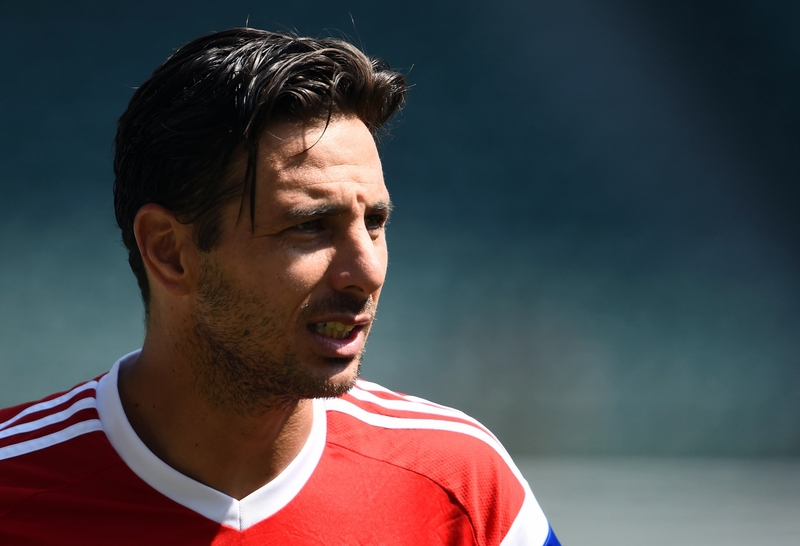 Unfortunately for Guerrero, he had too many talented forwards ahead of him, including countryman Claudio Pizarro. Bayern had the likes of Roque Santa Cruz, Alexander Zickler and Roy Makaay, all of whom were established starters, not to mention full internationals as well. Die Roten were also reportedly pursuing a new forward and Ruud van Nistelrooy was among those linked to the German giants. The club still made some key signings, including Daniel van Buyten from Hamburg. HSV decided to capitalise on the situation and wanted Guerrero to join. In search of more playing time, Guerrero made the leap to HSV at 22 for an undisclosed fee, though it was believed to be in the region of €2.5m. Peruvians were – and still are – highly undervalued on the European transfer market, so Hamburg managed an excellent deal. The club began the new season with just one win from its first 20 matches and were knocked out of the Champions League. Thomas Doll was eventually sacked and replaced by Huub Stevens in February as HSV finished the year in seventh place. Guerrero himself was frustrated over a lack of playing time. He had five goals in 19 appearances and once again found himself coming off the bench in the Champions League. Finally, in Stevens’ first full campaign, the Peruvian was given regular minutes and became a focal point in attack. Though his scoring output was low, Guerrero was able to contribute in all facets of play. With Ivica Olić and Mladen Petrić, Guerrero was able to drop deeper and open up space. His size and strength made it difficult for defenders to win possession, which benefitted his Croatian teammates and the rest of the attackers. Even with Guerrero thriving, Hamburg kept falling short of the Champions League places in the Bundesliga. HSV were considered a big club but were also losing first-team players regularly. Olić departed for Bayern on a free transfer while Vincent Kompany, Jérôme Boateng and Nigel de Jong were sold to Manchester City, but they weren’t adequately replaced. HSV were continually selling their best players, but Guerrero remained. While it benefitted him to stay and earn minutes at a high level, the fact that he was never sold came as a surprise. Guerrero was a Peru international, a proven scorer in a top European league and could play in multiple roles. It appeared as if his passport affected his perceived market value. If he was from Argentina, Brazil or Chile, Guerrero may have had teams begging for his services. Guerrero’s stock took a significant hit in September 2009 after he tore ligaments in his knee, which required surgery. He returned in March, but the season went from bad to worse. Following a 0-0 draw with Hannover, a fan in the stands was verbally abusing Guerrero. The Peruvian responded angrily by throwing a plastic bottle at the supporter’s face. The striker was handed a five-match suspension and a fine of €20,000. This was not the first time Guerrero’s temper cost him. He was banned for six international games after verbally abusing and attempting to physically attack the referee in Peru’s World Cup qualifier against Uruguay in 2008. Even with his fiery personality, Guerrero kept starting games for HSV, but the club reached their boiling point. Guerrero was hit with an eight-match ban for a brutal tackle on Stuttgart goalkeeper Sven Ulreich and was quickly sold to Corinthians that summer for just €3.5m. Guerrero arrived in Europe as a hot prospect and left with many unanswered questions. Guerrero was a standout performer for two of Germany’s biggest clubs, but he could have stuck around in Europe had it not been for his moments of rash indiscipline. It was seen as a failure given Guerrero’s massive potential during his teenage years, though moving to Corinthians had its benefits. Firstly, Corinthians were coached by current Brazil boss Tite. They also captured their first-ever Copa Libertadores prior to Guerrero’s arrival. The domestic campaign was a slight disappointment, but the São Paulo-based club was forgiven after a historic achievement. Guerrero entered right as the mass exodus from the club finished. Corinthians were targeting the likes of Carlos Tevez, Diego Forlán and Nilmar before the Peruvian signed. Unlike his time in Germany, Guerrero was playing as the lone centre-forward with wingers and a playmaker in behind and was eased into the lineup by Tite in his first few matches. Eventually, he claimed the number 9 and finished the Brasileirao with six goals in his final nine appearances of the 2012 campaign. It was clear that Guerrero felt comfortable in his new role, which was perfect because Corinthians were ready for a bigger stage. Thanks to their win in the Copa Libertadores earlier that summer, the Brazilian side qualified for the 2012 Club World Cup. Corinthians earned direct qualification into the semi-finals against Al Ahly from Egypt. As he’s often done in his distinguished career, Guerrero made an impact. His 30th-minute header – a classic Guerrero goal – stood as the winner, despite a late onslaught by Al-Ahly, and a date with Chelsea awaited the champions of South America. 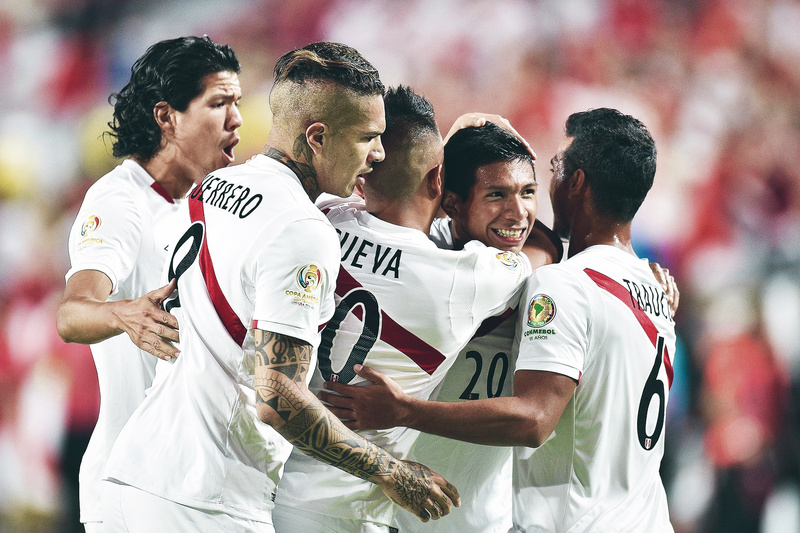 Read | Can a youthful Peru return to the greatness of the 1970s? The previous five editions of the Club World Cup were won by the European clubs, however Tite and his squad knew they had a strong chance of upsetting the Champions League holders. The match was scoreless after an hour. Both sides had chances but neither defence was letting up. Corinthians was pushing for a winner, though. Danilo managed to find a small passage at the top of the box, but he was blocked and sent up in the air by Gary Cahill. Guerrero, who was anticipating a deflection or rebound, was standing unchallenged in the six-yard box and nicked the ball over the line. Corinthians were ahead and closed out the match to lift their second Club World Cup. Tite rightfully received praise for his tactical setup, but Guerrero was the hero. He was often decisive on the grand stage and was a year removed from leading the 2011 Copa América in scoring. Two of his goals, against Uruguay and Mexico, secured four points for Peru. Guerrero was also pivotal in matches with Chile, Ecuador and Paraguay. He was never shy when the lights shined the brightest. Even at the age of 34 with Flamengo, Guerrero continues to score at an incredible rate. Strikers in their mid-30s are not supposed to be producing at those levels – they are supposed to be in decline. In fact, Guerrero is arguably better at 34 than he was in his prime in Germany. His goals against Venezuela and Uruguay in March 2017 essentially sent the nation to Russia. The latter one was especially brilliant considering Guerrero outmuscled one of football’s elite centre-backs in Diego Godín before calmly slotting the ball past Fernando Muslera. In overcoming a ban ahead of Russia 2018, thanks in part to the outburst of anger and sorrow at his initial expulsion from international football for a banned substance, Guerrero has proved himself once again as the man for the big stage. Above that even, the affection Peru holds for the striker is beyond anything they’ve had for another player in the modern era. Despite the nagging feeling that perhaps he should’ve achieved more at the very highest level, Paolo Guerrero’s legacy is set in stone as one of Peru’s finest footballers.